There have been lots of questions on how to transfer media files from iPod to iPhone. In the apple forum, there are many questions on the subject too, but equally are many answers which do not work or are not correct answers. Many others are obsolete and might have worked before but no longer do. Well, if you are in need of how to transfer music from iPod to iPhone, this article will help you. There are quite some ways to transfer music from iPod to iPhone. But only a few of these methods are very effective. But almost none is as effective as TunesMate. iMyFone iPhone Transfer is utility software that can be used in the transfer of files between devices. It can also be used to backup (between your device and an external hard drive). Two-way transfers: Transfer of music from your computer or iTunes to iPhone or from your iPhone to PC/iTunes. Non-purchased music: Your non-purchased music can also be transferred irrespective of the source. 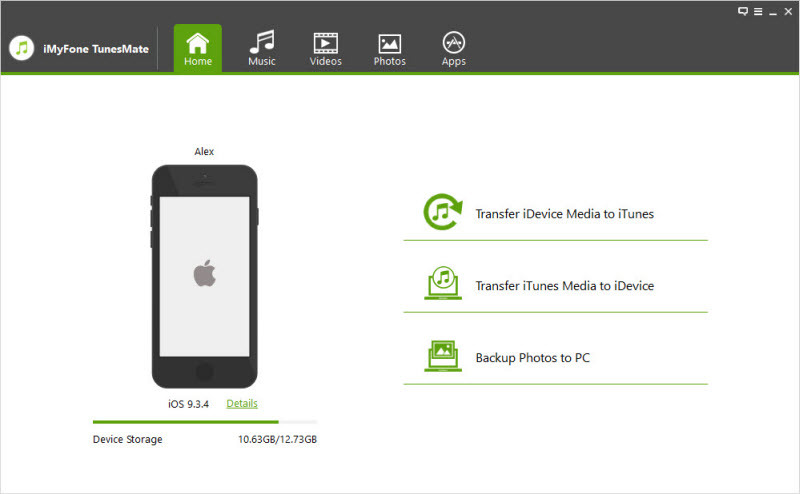 Transfer all the files: It also enables you to also transfer your podcasts, home videos, music or video files, etc. Recover music: You can recover music from iPod without opening iTunes when your iTunes library is corrupted or damaged. Supports all the music formats: It supports almost all the music formats you can think of. 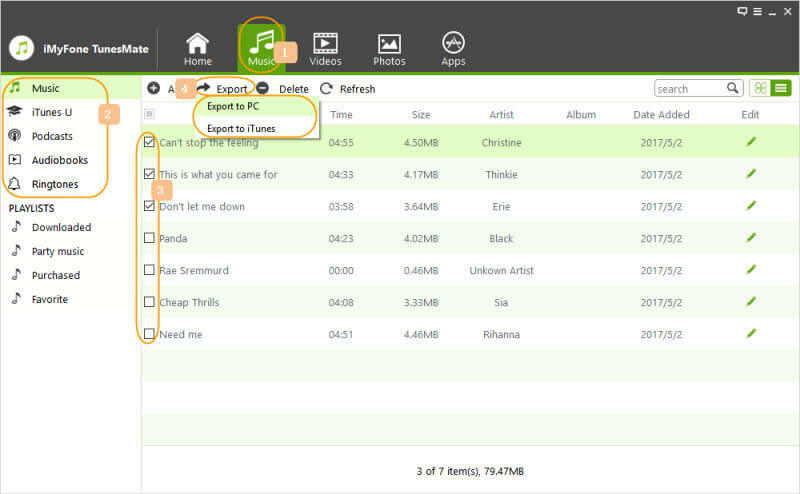 Transfer your entire playlist: It allows you to transfer your entire playlist or just some selected playlists. Before you can transfer your files, make sure the hard drive on your computer or Mac has enough capacity to carry the amount of data you want to transfer. Step 1: First is to plug in your iPod to your MAC or windows computer. Open your TunesMate software and locate your iPod. Step 2: From inside the TunesMate app, select the music tab. Locate the desired music, or song selects your option. Step 3: If you want to copy everything or check the small green box right on the top to select all, Click on “Export to PC” and your files will be moved to your computer. 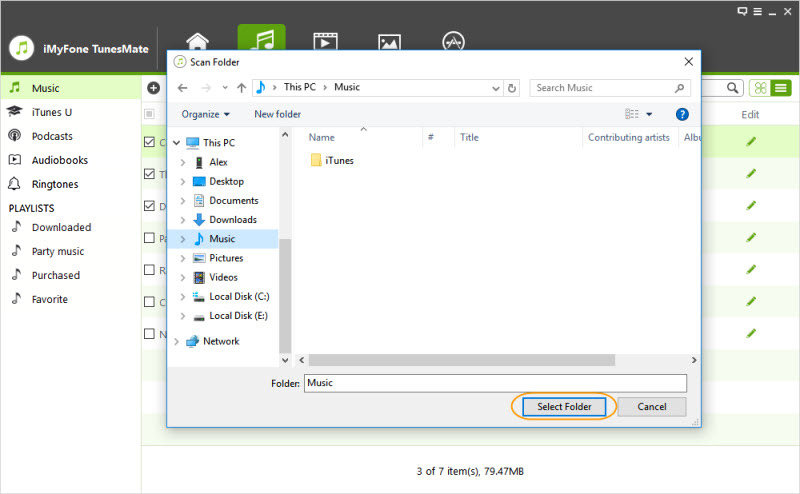 Step 4: Select the desired folder and watch TunesMate copy your songs. Step 5: Unplug your iPod, and plug in your iPhone. Repeat the reverse process to copy your songs to your iPhone. Follow the steps a,b to transfer music from your iPod to your iPhone with using iTunes. 1. The first thing to do is, of course, to connect your iPod to the computer or Mac via a USB cable. 2. Then wait for iTunes to recognize your iPod. 3. Once recognized, click on the iPod logo on the left side of iTunes. 4. Then select the Music tab. 5. 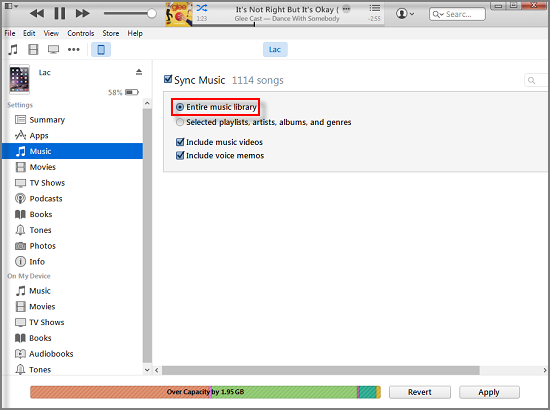 Select "Sync entire music library" option. 6. Then click on the "Apply" button. 7. Please, Wait a while until iPod finishes synchronizing your files, (the time required is determined by some files) and then disconnect the iPod. 1. Connect your iPhone to your computer using the USB cable. 2. Press the "Cancel" button if your iTunes automatically asks if you want to sync your iPhone with the entire music library. 3. Click the iPhone icon in the left column. 4. Select the Music tab and select Sync Music. 5. Click the circle which is next to the 'Selected Playlists, Artists, and Albums.' Then select the playlist you just created (if you did, or the songs you want) when prompted. 6. 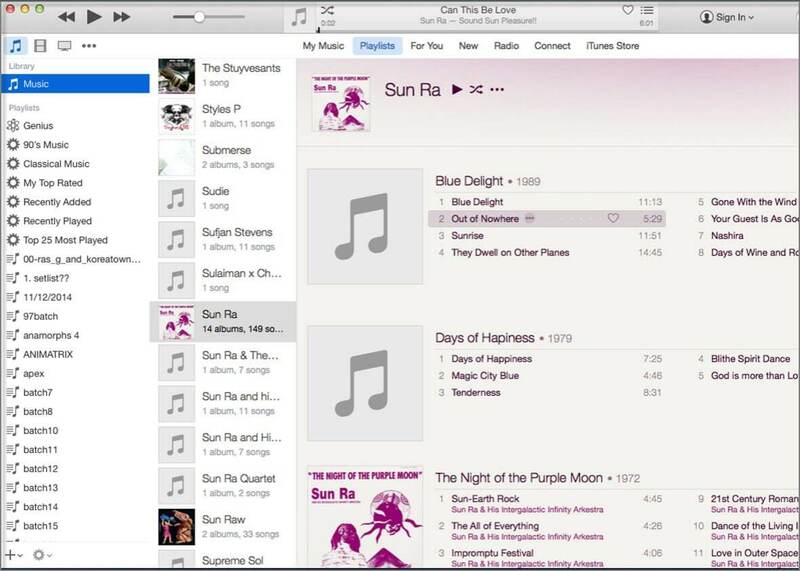 Click the "Submit" button and iTunes will begin to copy the music files to the device. 1. You must use a computer for the process. 2. Your device might not be discovered by the computer. 3. Some USB cables might not work. 4. This is a slow and long process. Make sure your Apple ID is the same on both devices. Download the music (which you should have purchased) to your primary device (iPod). Tap on the purchased tab. Now download the music to your secondary device (iPhone). Note: The major disadvantage of this method is if you lose your id and cannot recover it.